Meddling to US 2016 Election. VietPress USA (July 16, 2018): Today on July 16, 2018, when President Trump summits with Russian President Vladimir Putin in Helsinki of Finland, FBI in Washington DC arrested a Russian gun-rights activist who developed close relations with leaders of the National Rifle Association as well as conservative activists working with Donald Trump’s presidential campaign in 2016 Election. 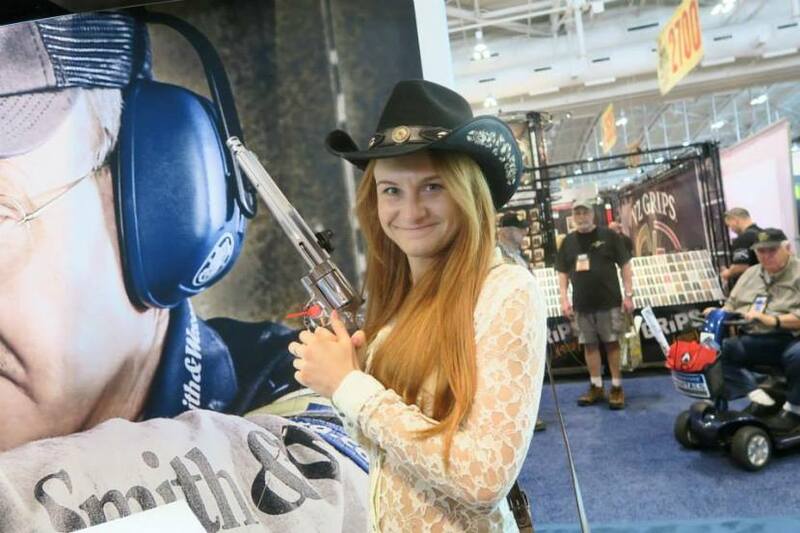 Maria Butina. 29, was involved in sales of appliances and furniture in the Altai region of Siberia, A year later, she was rubbing elbows with Torshin and putting together Право на Оружие (translated as “Right to Bear Arms”) in Moscow, an international gun rights organization. Maria Butina, who founded the Russian gun group “The Right to Bear Arms” and worked as the executive assistant to a top official of the Central Bank of the Russian Federation, Mr. Torshin who attended the NRA’s annual meeting in Houston, Texas in 2013. After that, in November 2013: NRA president David Keene travels to Russia for a conference hosted by The Right to Bear Arms. Keene speaks at the conference, with Torshin in attendance. April 2014: Torshin and Butina attend the NRA’s annual meeting in Indianapolis, where they are given the red carpet treatment. Butina attends the annual NRA Women’s Leadership Luncheon as a guest of former NRA President Sandy Froman and participates in general meetings over the weekend as a guest of former NRA President David Keene. She also presents the then-NRA president Jim Porter with a plaque. Butina is given the “rare privilege” of ringing a Liberty Bell replica. January, 20 2015: Torshin is named deputy governor of the Central Bank of Russia, responsible for liaison with the Federal Assembly chambers, and also federal and regional state executive bodies. Torshin selects Maria Butina as his special assistant. 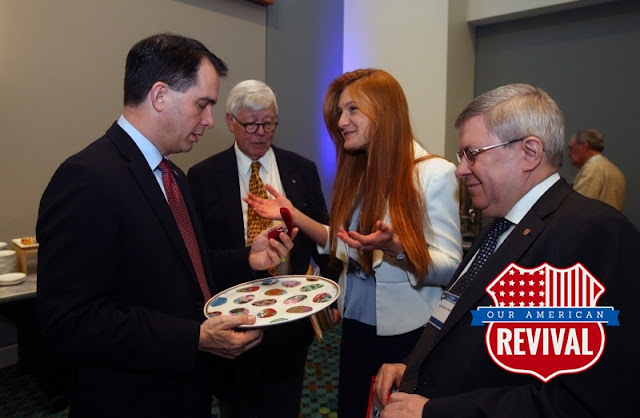 April 2015: Torshin and Butina both attend NRA’s annual meeting in Nashville. April 10, 2015: Butina, Torshin and Keene meet future Republican presidential candidate Donald Trump and Wisconsin governor Scott Walker during an event in Tennessee. 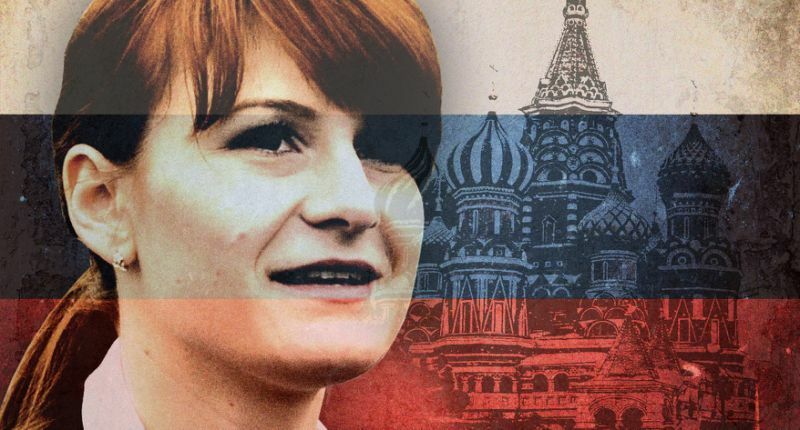 And.. the result is today, FBI arrested Maria Butina as Russian Intelligent agent in USA. The arrest has been announced at the right time President Trump blames Robert Mueller and Vladimir Putin denies that Russia never involve in meddling the U.S. 2016 Election to support Trump. Maria Butina, 29, who founded the Russian gun group “The Right to Bear Arms” and worked as the executive assistant to a top official of the Central Bank of the Russian Federation, was arrested Sunday by the FBI in Washington D.C. The charges allege that she visited the United States in 2015 and 2016 for the purposes of acting “as an agent” of the Russia, according to a criminal complaint released by the U.S. Justice Department on Monday afternoon, a few hours after President Trump and Russian President Putin met in Helsinki. Butina conspired to “exploit personal connections” with U.S. political figures and to “infiltrate organizations active in U.S. politics” and establish “back channel lines of communication” in an effort to advance Russian government interests, the complaint charges. Chief among the groups Butina and her boss, Russian central banker, Alexander Torshin, sought to infiltrate was the NRA. Torshin became a lifetime member of the group, and he and Butina regularly attended the association’s annual meetings, held private dinners with the group’s leaders and joined them for target shooting.